A few readers have asked my opinion about cosmetic surgery and what they should know before going under the knife for elective beauty procedures such as breast augmentations, tummy tucks, and face lifts. While I believe in aging well, I also believe that how you choose to age is part of your own personal journey. I don’t pass judgment on those who choose to age naturally, nor do I frown upon those who use Botox, fillers, and cosmetic surgery to maintain a more youthful appearance. We each have our standards of beauty that we live up to. So, here’s my two cents: Age as you wish and let’s keep our noses out of other people’s choices. Having said that, I was curious to learn more about elective surgical procedures and what you should know when hiring a surgeon. For help, I turned to well-renowned cosmetic surgeon Dr. Joseph Castellano for some insight. 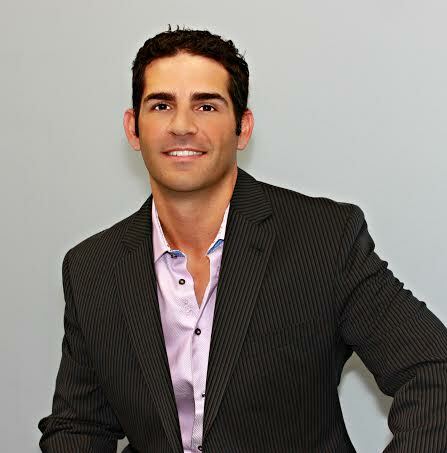 Dr. Castellano is based in Tampa, Florida. He received his undergraduate degree from the University of Florida, where he graduated with honors. He then attended the University of South Florida, College of Medicine. He began his surgical training at the University of Florida, where he completed his first two years of general surgery training at Shands Hospital. He completed his final three years of general surgical training at the Medical University of South Carolina in Charleston, South Carolina. Following this extensive training, he completed a one year fellowship focused on cosmetic surgery of the head and body. This fellowship was in Indianapolis, Indiana and administered by the American Academy of Cosmetic Surgery. I sat down with Dr. Castellano and asked him about the more popular cosmetic surgeries and what a patient should ask when choosing a surgeon. KK: What procedures do you specialize in? JC: I perform most every cosmetic procedure of the head and body, except rhinoplasty (nose surgery) and otoplasty (ear surgery). I focus mostly on breast surgery, liposuction, tummy tucks, facelifts, and blepharoplasty (eyelid surgery), along with many other cosmetic procedures. I also perform many mommy makeovers. JC: This is usually performed after a pregnancy. Some women become self-conscious with the way their body looks after pregnancy and breast feeding and would like to rejuvenate their body by tightening and lifting. The surgery is typically the combination of a breast and body procedure. The breast procedure can be a breast augmentation, breast lift (also called a mastopexy), or breast reduction. The body procedure is usually tummy tuck or liposuction. Surgery usually takes 4 to 7 hours depending on the procedures. Recovery is usually 1 to 2 weeks and cost can be anywhere from $8,000 to $14,000. KK: You are a board certified cosmetic surgeon, while other doctors performing similar surgeries are plastic surgeons. What is the difference between a cosmetic surgeon and a plastic surgeon? JC: While many people think that cosmetic surgery and plastic surgery are one and the same, they are actually very different in terms of the training required. An analogy might be to compare a general surgeon to a more specialized, vascular surgeon. While the general surgeon would be required to have a few months of vascular surgery training, the vascular surgeon was required to undergo rigorous, specialized training in his field. The same is true for plastic surgeons versus cosmetic surgeons. While a plastic surgeon does get some cosmetic surgery training, it is very limited. The cosmetic surgeon on the other hand is required to undergo extensive training. The Accreditation Council for Graduate Medical Education (or the ACGME) requires a plastic surgery resident to complete 40 cosmetic cases in their three year training. This may be 15 breast surgeries, a few tummy tucks, some liposuction, maybe 5 facelifts, etc. To be fair, this is a minimum and some plastic surgery residents may get a little better training, but it is still not comparable to completing a cosmetic surgery fellowship. My cosmetic surgery fellowship with the American Academy of Cosmetic Surgery required 300 cosmetic cases in a single year. I exceeded that requirement and completed over 400 cases and performed over 1,000 procedures in a single year. I did well over 100 breast surgeries, 100 liposuction procedures, 40 facelifts, 60 blepharoplasties, and many other procedures during that year. Specialized training, in my opinion, is the key to experience and results. KK: That’s very interesting. I think many of us have been using the term “plastic surgeon” and assuming they were, forgive the pun, a cut above the rest. The general public likely doesn’t know the difference and the rigorous training cosmetic surgeons undergo. I’ve had a plastic surgeon tell a patient about me, “He is not board certified in plastic surgery.” This is misleading because the patient takes that comment to mean that I am not well trained. In a way, the plastic surgery industry has been brain washing the public for a long time. They have commercials saying make sure your surgeon is a board certified plastic surgeon. But in the end, it all comes down to how much training and experience a surgeon has and it’s important that a patient understands that. KK: What should a patient ask when interviewing a surgeon? JC: She should ask how often a surgeon performs the desired surgery. It’s also about being comfortable with who is taking care of you and how confident you are that if something isn’t perfect, they are going to take care of you until you are happy. It should never be about price. This is not the time for a Groupon! If someone is really cheap, run! If someone is really expensive, that can be suspicious as well. Also, be sure to look at before and after photos. KK: You perform your surgeries in your own surgery center located in your office. What are the benefits of having the procedures done there as opposed to an outside surgery center? JC: I do perform my surgeries in my own surgery center that is accredited by the Florida Department of Health as a Level II and III surgery center. We use all board certified anesthesiologists and use all the same medications that the hospitals use. We offer a more intimate setting for our patients with more hands on care. It’s all about you when you are here. There are no other patients or family members walking around. I offer true comfort and privacy. We do offer to perform the surgeries at an off-location surgery center if the patient would like to do that, but none of my patients has ever chosen to have their surgery at a different center. KK: How many cosmetic procedures do you perform in a year? JC: In 2013, I performed nearly 400 cosmetic procedures, not including injectables and lasers. Whether you choose to age naturally or get a little help, here’s to aging beautifully! If you’d like more information about Dr. Castellano, contact his office at (813) 872-6093 or visit his website. This entry was posted in Beauty & Anti-Aging on May 5, 2014 by Karena.